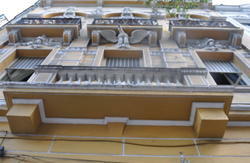 We offer you a cozy stay, our hostel is very peaceful but near all agitations of the city. 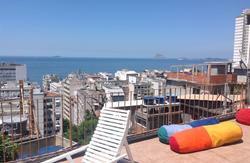 The Vidigal is being revealed as the new point of Rio, where is being held various events, parties, trips and projects. The Vidigalhouse has the advantage of being located in the middle of Vidigal, with easy access and close to the hottest events in Rio! 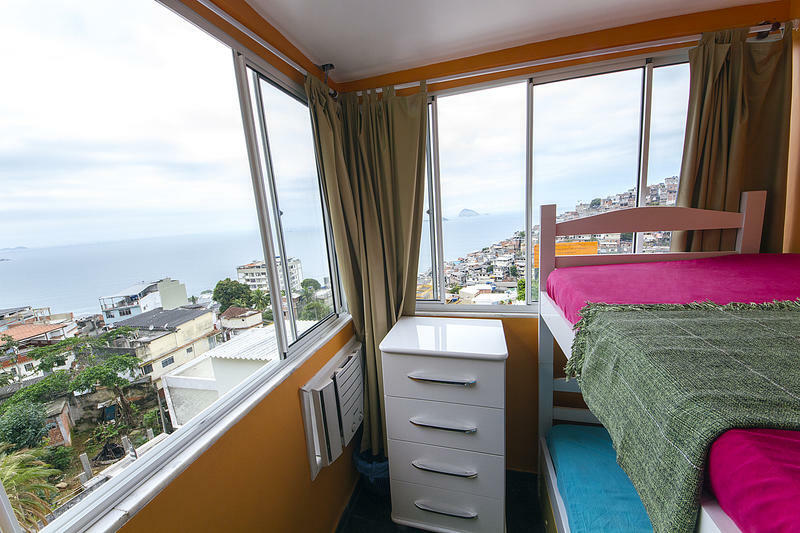 Our hostel is located in the neighborhood of Vidigal, overlooking the shores of Leblon, Ipanema and Arpoador, being possible to witness the New Year’s Eve fireworks of Copacabana and also the fireworks of the Sheraton Hotel. Our neighborhood is safe and typically carioca, we are 10 minutes away (by foot) from the Vidigal beach, where you can walk into Leblon and Ipanema beaches. At the entrance of Vidigal there are buses and alternative transports available for the entire south and center of the city. The Vidigalhouse has dorms and a clean, relaxed and comfortable ambiance plus a gorgeous view. We provide bedding and air conditioning in our rooms. Besides the kitchen available 24 hours for guests, we offer a tasty breakfast, wifi, cyber cafe and a lounge bar, we have a terrace to relax and enjoy a delicious caipirinha!! Our team is made ​​up of locals and residents of Vidigal, able to provide information from the city, tours, climbing, hiking, nature tours, parties, samba schools and even a great match in the famous Maracanã stadium. When you arrive at Vidigal, we will offer a free shuttle service to the Hostel, also having the option to move up in a motor taxi or van. On your arrival at Vidigalhouse, you’ll get a free caipirinha as a welcome gift! Here, no day is the same and we want to bring you to live this adventure with us! We invite people of the entire world to know us and feel different sensations! 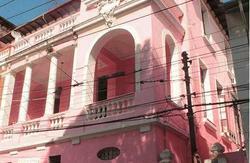 The Morro do Vidigal is located at Avenida Niemeyer, near the well-known neighborhood of Leblon. For stays over 10 days, free transportation. See prices for more than one person.